Learn to swim at Warm Beach Camp! When you learn to swim, you gain new confidence through water experience that you can enjoy for the rest of your life. Summer swim lessons are available for kids ages 3+, as well as a Parent & Me class for children 18 months-3 years. Classes range from introductory classes where students gain comfort and safety skills in the water, up to advanced stroke techniques. Each class is 30 minutes and is taught by trained swim instructors. Average instructor to student ratio is 1:5. Lessons are held in an outdoor heated pool in a beautiful natural setting at Warm Beach Camp in Stanwood, WA. Lessons proceed rain or shine but will be canceled if lightning is present. Each class is 30 minutes (Mon-Thur). Session 1 includes 7 classes, Sessions 2-4 includes 8 classes. Each class is 30 minutes (Mon-Thur, 5:30pm), includes 8 classes. Each class is 30 minutes, includes 4 classes. To register online select the appropriate session below. For more information, or to set up your private lessons, contact our Swim Lesson Coordinator. Parent & Me lessons are for children ages 18 months-3 years and their parents. Come learn and play with your child as they gain greater comfort in the water and you gain skills to help prepare your child to be a more confident swimmer. When completed, they will be comfortable in the water and ready to start the learning process. Some kids may stay at this level for safety reasons. Parents will be in the water along-side their child. Prerequisites: Willing to sit on the pool steps and get wet. It's an ideal starting point for kids who are very young or timid. Pre-Beginner 2 lessons are for children ages 3-5+. They will learn to float independently for 5 seconds or more on their fronts and backs and begin swimming 5 feet or more with assistance. Prerequisites: Comfort in the water, floating with assistance and holding breath or blowing bubbles for 5 seconds. It's an ideal starting point for kids who are very young but are comfortable in the water without their parent. Pre-Beginner 3 lessons are for children ages 3-6+. During the class these kids will start independent swimming for 5 seconds or more on their fronts and backs. Prerequisites: Independent floating for 5 seconds or more on their fronts and backs, and swimming 5 feet or more with assistance. It's an ideal starting point for kids who are very young but have demonstrated confidence in the water. Beginner 1 lessons are for children ages 4 - 8+. These kids will start independent swimming for 10 feet or more, and float on their fronts and backs for 10 seconds or more. Prerequisites: Comfort in the water, floating with assistance, and holding breath or blowing bubbles for 5 seconds. This is a good starting point for older kids or kids that have already had entry level training. Beginner 2 lessons are for ages 5 - 9+. Kids will take their independent swimming to 20 feet+ on their face and backs. Adding strokes and learning water safety skills, because with increased water confidence comes increased need for water safety. Prerequisites: Face float with kick 5 feet, hold breath 10 seconds, back float 10 seconds, release and back float from wall. In this level kids have started independent swimming. Beginner 3 lessons are for children ages 5 - 14+. We will add breathing and endurance, moving up to 35 feet of crawl stroke and the beginning techniques for backstroke. Prerequisites: 10 bobs, back float 30 seconds, back float with kick 10 feet, crawl stroke 20 feet without stopping, roll over and float, jump in pool at 5-foot depth and swim to side. These kids should be ready to start swimming in 5 feet+ deep water. Swimmer 1 lessons are for kids ages 5 - 14+. We are going to take kids to the next level of ability, adding distance, turns, diving, and more safety skills. Prerequisites: Crawl stroke with breathing 35 feet, roll over and float from toss, underwater toy pickup. Kids in this level should be comfortable swimming on their fronts doing side breathing, and swimming back stroke. Swimmer 2 lessons are for kids ages 6 - 14+. Kids will finish this class with the ability to swim backstroke and crawlstroke for 50 yards, and breaststroke for 25 yards. At this level they will be introduced to the butterfly kick, and they will learn proper turns. Prerequisites: Crawl stroke 25 yards, back stroke 25 yards, tread water 1 minute, knee dive. Swimmer 3 lessons are for kids ages 6 - 14+. Kids will develop their swimming technique and endurance in all common strokes - crawl, back, breast and butterfly. They will be introduced to basic skills to take into future swimming, such as pace clocks and interval swimming. They will finish this class with the ability to swim the butterfly stroke. Prerequisites: Crawl stroke 50 yards, back stroke 50 yards, breast stroke 25 yards, tread water 2 minutes, squat or standing dive. For more information or to set up your private lessons, contact our Swim Lesson Coordinator, Kurt vonPessler, at 425-210-7185. 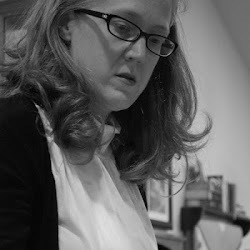 Camilla Blue is a graphic designer and mother of three red-headed kids in Stanwood, WA. She writes for her blog, A Little Grace and Mercy, at alittlegraceandmercy.blogspot.com.